Technobank has established itself as the leading event in the West Balkans region, renowned for its steady flow of visitors, quality of offering by regular exhibitors and a keen focus on the latest topics in the global banking industry. 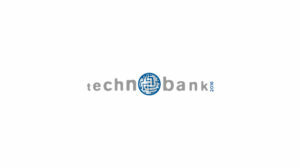 Fourteenth Technobank conference will be held on 9-10 April at the Crowne Plaza Hotel in Belgrade. NF Innova Company, as a participant of this conference will present the most significant innovations in the iBanking product. For the first time, after a world premiere at Finovate conference held in February in London, iBanking Personal Experience Module will be presented, which instead of static CRM-based rules that are used for segmentation, provides adaptive behavior of the whole system according to the needs of each individual client. Presentation of Personal Experience Module is scheduled for April 9, and all information about it, as well as complete iBanking Solution will be available at the NF Innova booth. More information about Technobank 2014 Conference is available here.